« Reach out if you ever have questions! 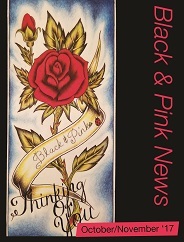 We are writing to you as the Board of Directors of Black & Pink. We function as the Interim Leadership Circle (LC) to engage in collective decision-making for Black & Pink at the national level, as laid out in the documents created by the Transition Team over the past year. In line with Black & Pink’s values, the Board is composed of 9 majority formerly incarcerated and majority people of color volunteers. We want to express our appreciation for you and to let you know of a few updates from national leadership. Thank you for all you do to support our collective mission to abolish the prison industrial complex! Almost 300 holiday card parties are taking place to lift the spirits of our incarcerated members during this often difficult season. Mail processing in different regions mostly continues week after week, making sure our inside members’ needs are met on an ongoing basis. 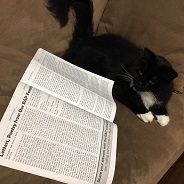 Court support training, coalition building, policy work, community education, fundraising events, and individual prisoner advocacy are just some of the activities we know are happening at the chapter level. 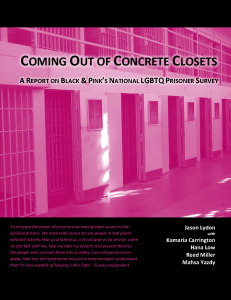 Black & Pink could not have the impact it does without impressively dedicated volunteers and the essential work carried out by allied organizations to support and build power with currently and formerly incarcerated people across the globe. We see you, and we’re honored to be in community with you. As you may know, Black & Pink has recently undergone a transition in leadership. Thank you for your patience as Black & Pink undergoes this period of transition. The Board (LC) is currently in the process of evaluating executive staff in response to certain actions taken that we believe were outside the scope of the role and not in accordance with the mission of Black and Pink. We understand that many of you may have questions and concerns at this time. Throughout this process, we are humbly reminding ourselves to center our values, including transparency and organizational clarity, healing and holding our complicated selves, and resisting all forms of oppression in the movement toward collective liberation. Above all, we are staying committed to the best interests of our LGBTQ/HIV+ prisoner family. We’re always here to support you and listen to any feedback/suggestions you may have. We want Black & Pink’s amazing volunteers to truly be respected and heard, and we want to continue to foster bonds of trust and solidarity with all individuals and collectives who share our mission and values. Our mission is a long-term one, and we deeply appreciate all the work you do day after day. We’re looking forward to a great 2018 filled with continued organizing to abolish the prison industrial complex and to build a more just world.